This wedding is one of our top favorite events from the past season. Surrounded by their friends and close family Jess and Mark tied the knot at Mark’s parents farm in West Brome QC. Each and every aspect of their day was just remarkable, we felt among friends and frequently had to remind ourselves that we’re in fact there to document the day☺ What’s more is that this was the first time we worked with Azar from Principal Planner and what a blast we had! 4 Comments on "Jess + Mark – Married"
Beautiful video! I know this family! We did Paul's wedding reception a couple of years ago. Touching, so touching! well composed! 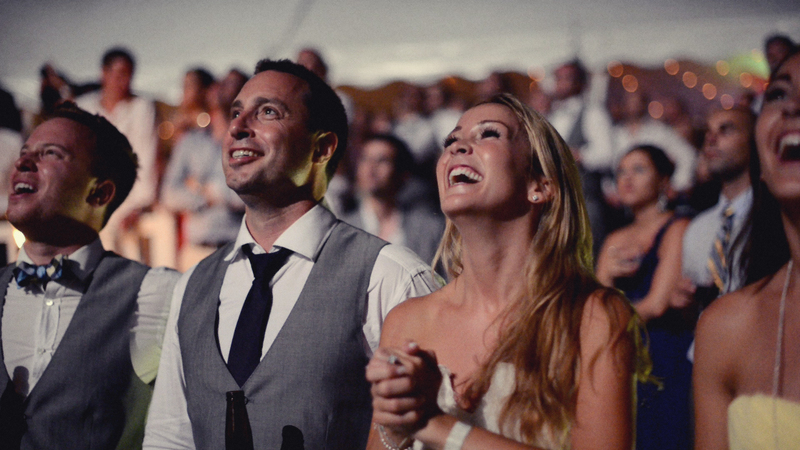 Fireworks make any wedding & a wedding film a good one!